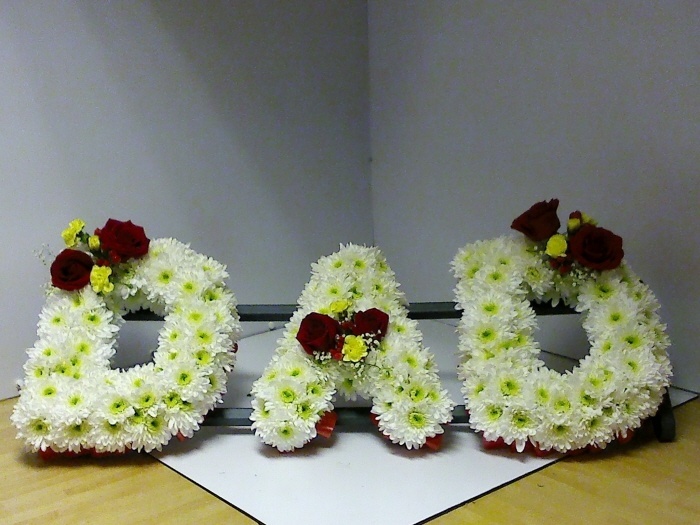 Dad funeral tribute is a very popular tribute. This tribute is based in white chrysants with roses for the flower placements. The colour of the flower placements can be changed to suit your own requirements.